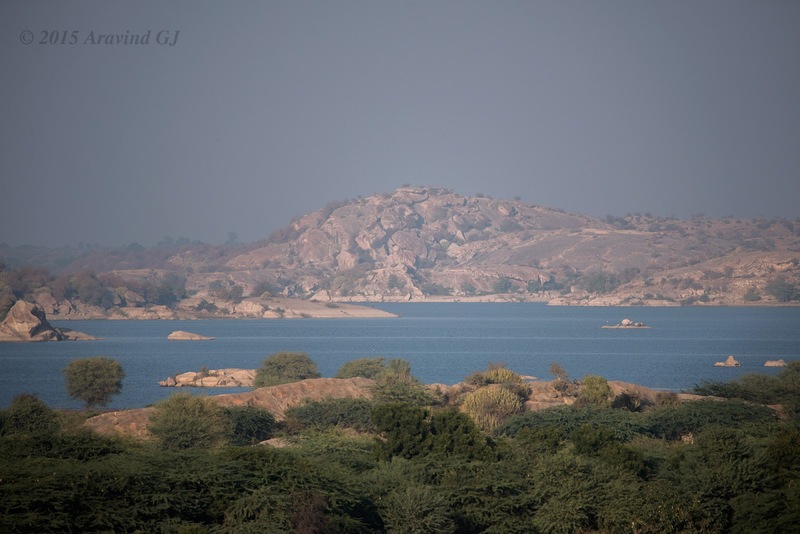 In Pali district of Rajasthan lies a village Bera. Out of tourist circuit, this village is not known to many people. But it is home to 35-50 leopards who roam free in the area that is not declared as protected zone and is intercepted by villages and farms. This is something amazing where there are challenges to save wild animals even in National forests. I came to know about this plane few months ago and I could find an opportunity to visit this place!! As I came out of the desolated Mori Bera railway station facing a dusty road, I wondered why the place is so fertile for leopards. 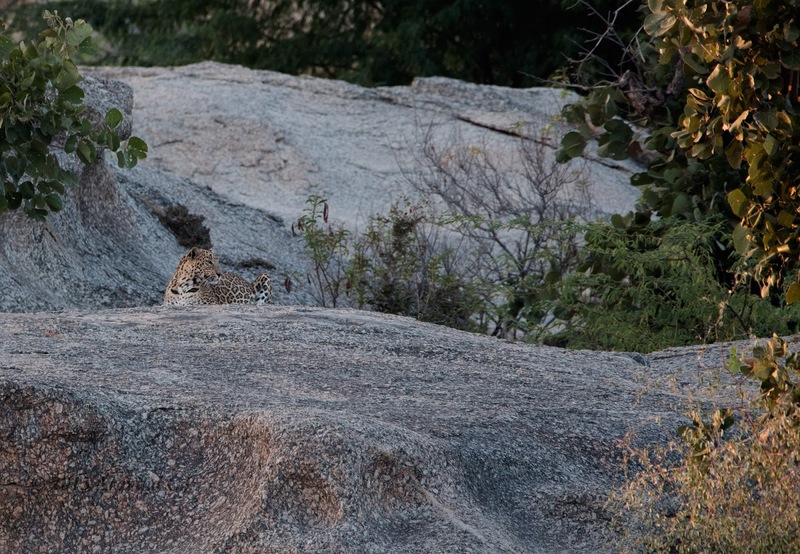 It is the rocky terrain with bushes which forms a natural habitat for leopards. But prey is very limited and apart from few small specifies of animals, they have to rely on live stock and dogs. And as per local inputs, there has been no conflict between man and leopards. There is no also no instance of leopard attacking humans. This is surprising. Leopards are in general hard to sight due to its shy and nocturnal nature. But in Bera, the chances of meeting them is relatively high. Information comes from villagers who indicate the presence of carnivorous. The “safari” is then limited to reaching the place and waiting for leopard to turn up. 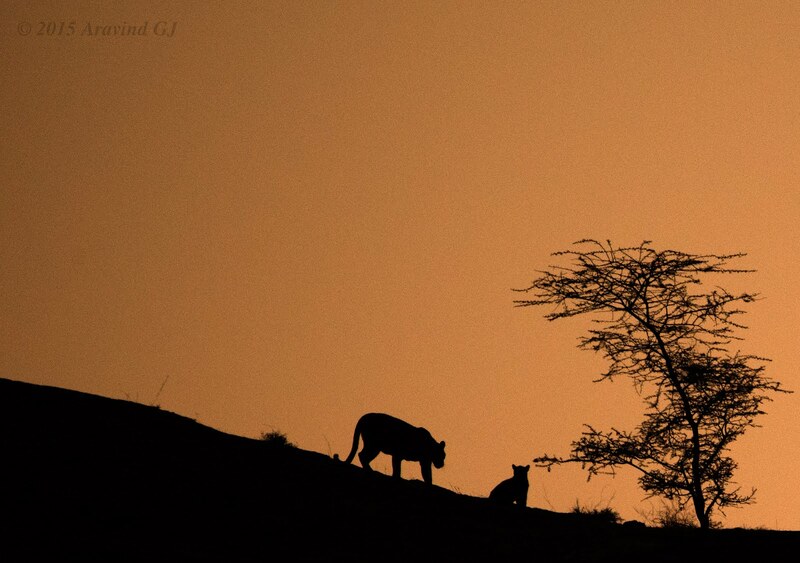 Photographing leopards is a great challenge as they appear during early morning or late evening when the light is low. 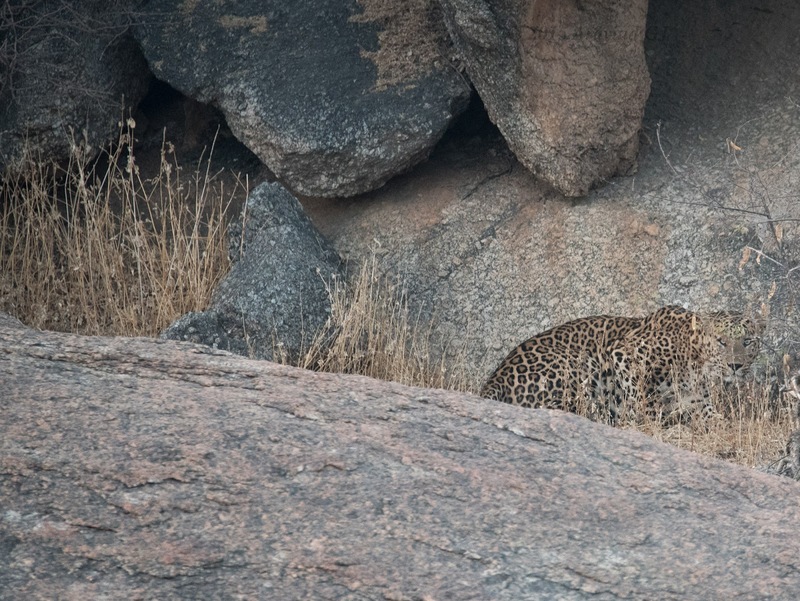 In our six safaris, we saw six leopards out of which three were cubs. The sightings were impressive though they always appeared from a long distance. Note that this area is not a tourist zone. It is suited for a wildlife enthusiast and not for a normal tourist. It is not a good place to visit with family as there is nothing else to see. The stay options are limited to expensive to super expensive resorts. 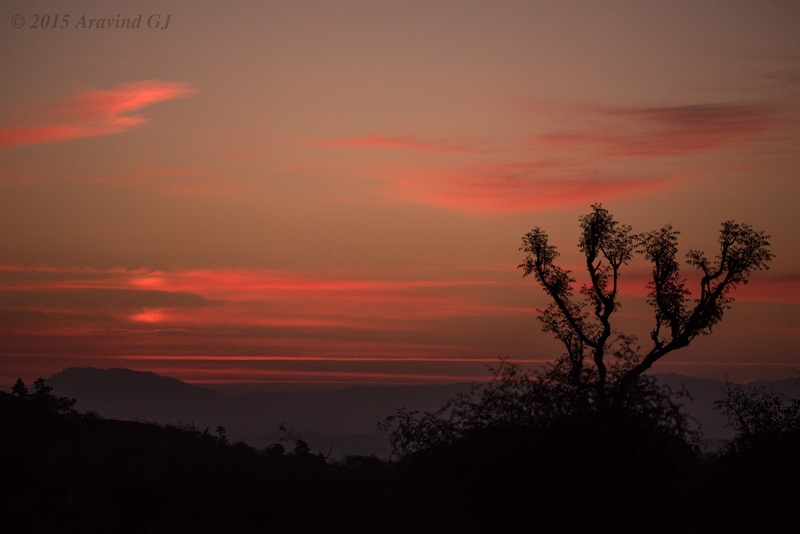 But if you are a person who enjoys wildlife, Bera is the place to visit. it is not yet commercialised. And I do not think leopards will survive if it happens. Wow, nice to know about this place and the leopards. I had seen a program on national geographic sometime ago ,its all about how leopards are getting adjusted to urban life ,in that they show night vision heat sensing cameras where leopards are hiding in bushes right next to a muddy village path in search of their kill but even though they see humans they just keep of them. 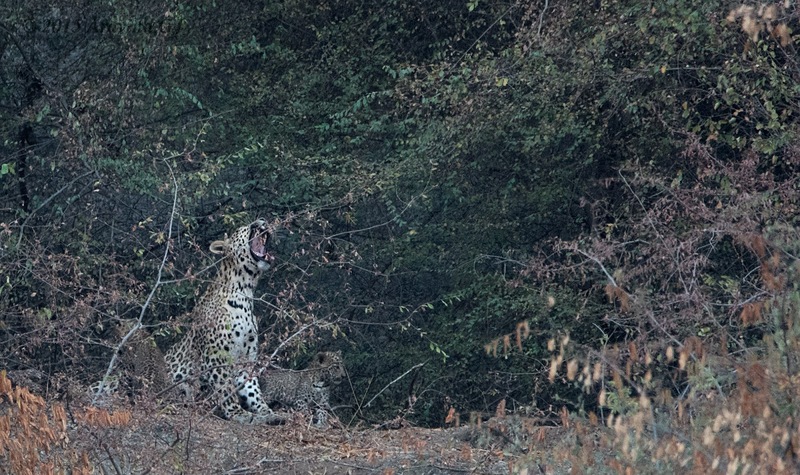 This place was also studied to understand why unplanned relocation of leopards leads to mayhem ,for eg if you relocate a adult female ,the cubs dont have anyway of knowing what is the norm and that disturbs the current delicate balance.